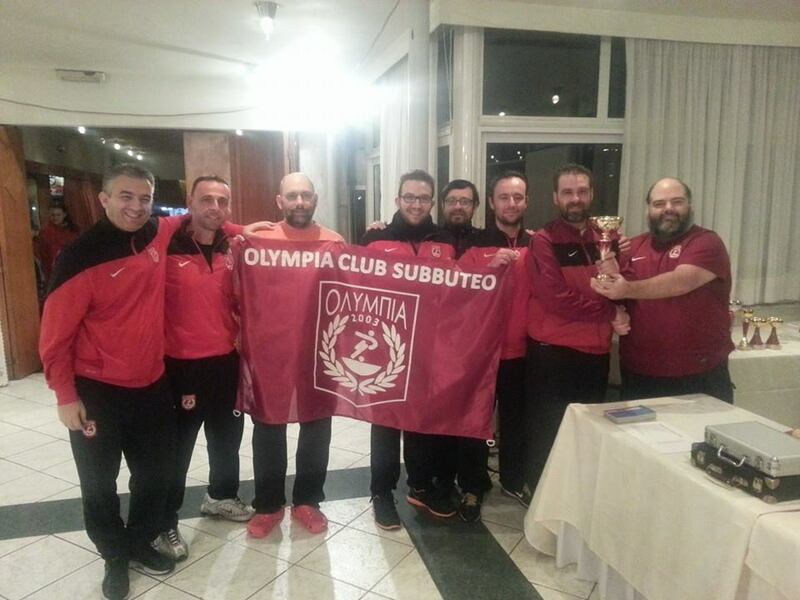 On December 13 and 14, the International Open of Athens was played in the Kavallaris Hotel and the event was organized by the club of Olympia. The team competition was held on saturday with 15 teams coming from 8 different clubs. Surprisingly the team of Olymoia reached the final and they even won the title in the decisive game againsi Pobladores Griegos. Falcons and Roligans reached the semis. The individual tournament had three categories. In the ladies section (4 players), Eleni Koulosousa beat sister Dionysia in the final. The 52 Open players offered a great show and this time, Spyros Hantzaras (picture) beat Eugene Plytas int he final. Giorgos Koutis and Kostas Seses reached the semis. The veterans was 14 and Giorgos Papadopoulos beat Chris Aggelinas in the final. 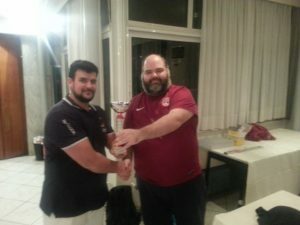 Semi-finalists were Giorgos Aggelinas and Panagiotis Haratsis.